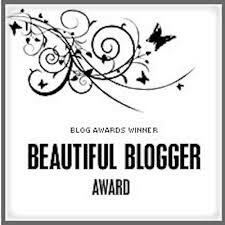 Last week, before I went out-of-town, I was pleasantly surprised and honored to be nominated by Bec of What’s Bec Cooking for the Beautiful Blogger Award! It is so wonderful to recognized by your peers, because as you all well know, fellow bloggers are the majority of our audience. I am so appreciative of them, my friends and all readers of my humble blog! For those who don’t know Bec, she is from Perth, located in Western Australia. She spent her early childhood years in Malaysia and Singapore. Not only is she a talented food blogger, but is a wife and mother of two little girls. Bec enjoys cooking healthier versions of dishes you find in restaurants and cafe. Many thanks, Bec, for this special honor! Nominate seven creative beautiful bloggers. Notify the people who you nominate. I am scared of bugs! I would like to see the leaves change colors back East. I am looking forward to watching Michigan football. Go Blue! I love coffee, but it gives me heartburn. Congratulations, Rena!!! I enjoy your healthy and easy recipes!! Thank you much, Mardy! How is the wedding planning going? Britt, you are so welcome! Thank you so much Rena, I am honored to have been nominated for this award. I love your blog and am not surprised that you were given the award, well deserved. Thank you so very much. Suzanne, you are so welcome! I also love your blog! Bec, many thanks again! You are too kind! Nell, you are so welcome! Nandini, you are so welcome!